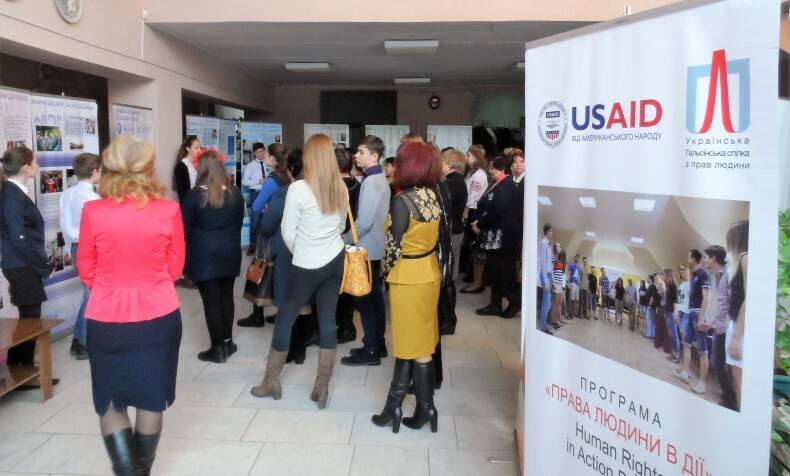 On January 20, the traveling educational exhibition “Everyone Has the Right to Know Their Rights” was launched in Druzhkivka, Donetsk Oblast. 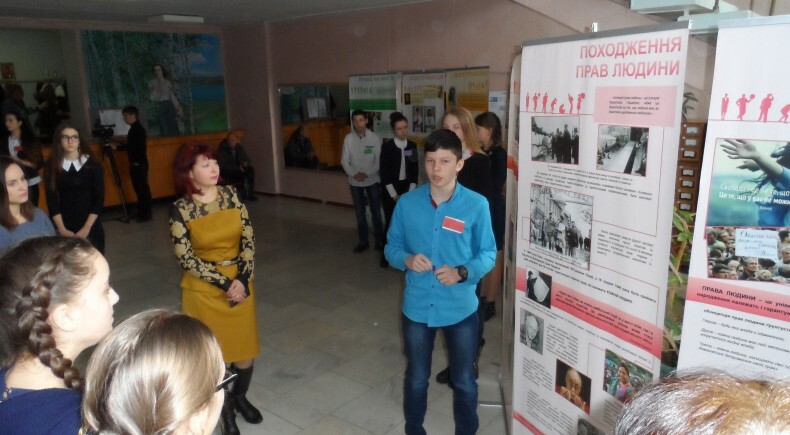 At the first stage (from 20 January to 24 January), the exhibition was held in the Druzhkivka Secondary School no. 9 of the Druzhkivka Town Council of Donetsk Oblast. There not only the students, teachers, and parents but also the residents of the surrounding districts had the opportunity to visit it. 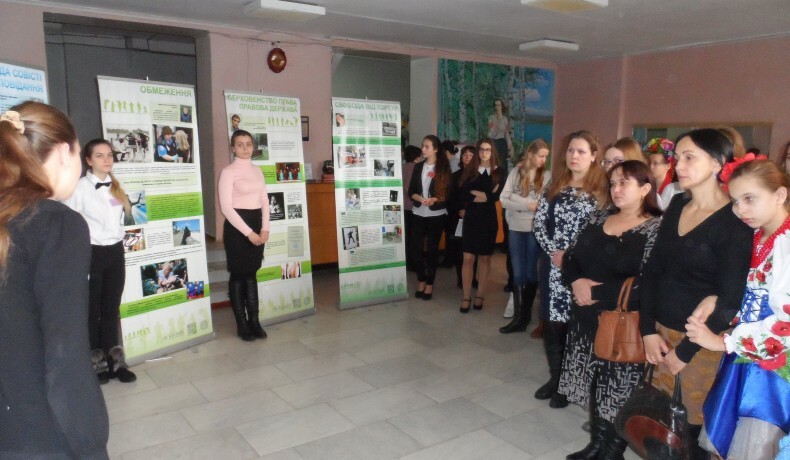 On January 25, the opening ceremony of the traveling educational exhibition “Everyone has the right to know their rights” at the regional level was held at the Central Town Library named after Lesia Ukrainka. 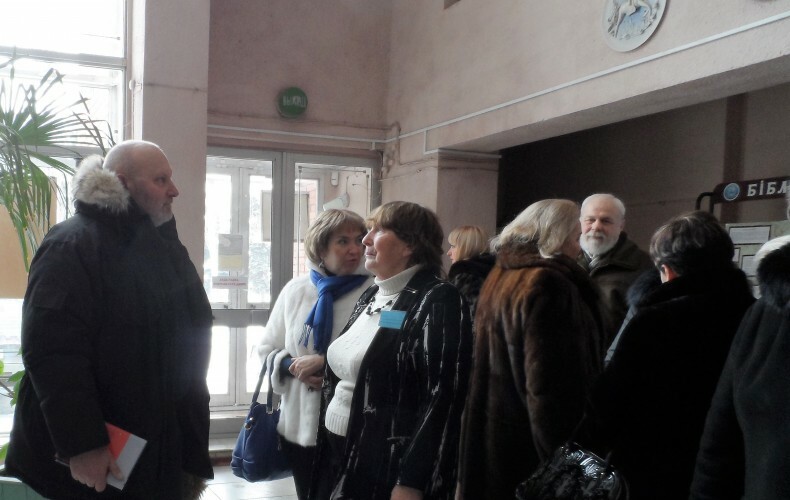 Leaders of the Druzhkivka Town, representatives of the Oblast State Administration of Donetsk Oblast, representatives of the Donetsk Regional Institute of Postgraduate Education, and members of “The X anniversary Oleksa’s readings”, which were dedicated to the 90th anniversary of the birth of Oleksa Tykhyi, attended the exhibition. 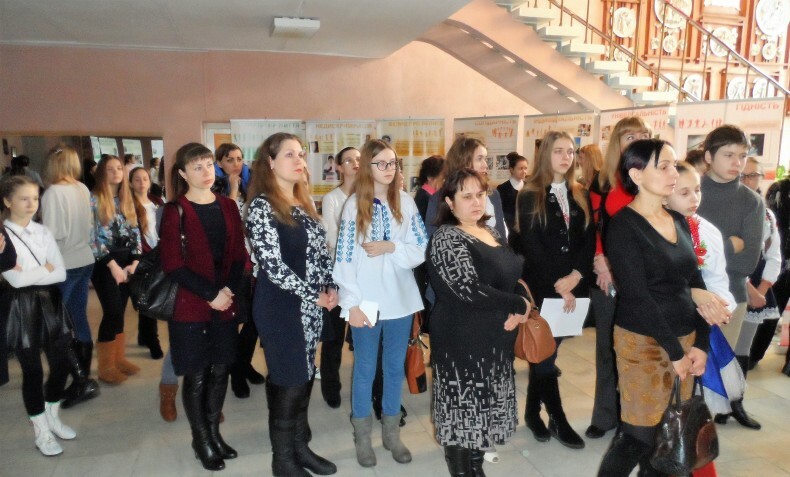 Students and teachers of Kramatorsk, Sloviansk and Kostiantynivka also attended the exhibition. The travelling educational exhibition “Everyone Has the Right to Know Their Rights”, as well as the guideline to work with it, were developed in 2011 by the NGO “MART”, the UHHRU member organization, with support from the International Renaissance Foundation, using expert materials and within the framework the action plan of the Ukraine-wide educational program “We Understand Human Rights”, as one of the steps to respond to the need for a systematic approach to human rights education. It enables to use these products as supplementary materials for learning and encourage discussion of human rights issues. NGO “MART” is a non-political non-profit organization, focusing on civil society development, as well as human rights education, monitoring of human rights observance, public interests advocacy through mechanisms of human rights protection. The Ukraine-wide traveling educational exhibition “Everyone Has the Right to Know Their Rights” organized within the framework of initiatives implemented by the Ukrainian Helsinki Human Rights Union, the Human Rights First project, supported by Global Affairs Canada and the US Agency for International Development (USAID) Human Rights in Action programme, a part of the national educational program “We Understand Human Rights”.